Registration for the boat cruise is limited, so please register with us early to avoid disappointment! More info is available on our Social Events page. If you would prefer to pay by cheque, money transfer, or alternate means, please email us at elpub2018@utsc.utoronto.ca to arrange your registration and payment. Please note that accepted ELPUB conference authors who have made a submission (Full/Short Paper, Poster, Tutorial, Workshop or Demonstration) must pay a full registration fee (Conference Only, or Conference and Workshops) during registration. Inclusion in the proceedings is conditional upon registration of at least one author with full registration per paper. Students will be required to present a valid student ID card at the on-site registration desk and must be currently registered at a post-secondary or secondary institution.  ELPUB is a community event that is guided by a Conference Code of Conduct. By registering for ELPUB, you commit to abide by the Code of Conduct, which is available here. Be sure to check out our Accommodations and Travel and Transportation pages on our website for discount codes and group rates. If you have family or children travelling with you, be sure to also check out our Parent and Family Guide. Registration cancellations received in writing by May 31, 2018 will be accepted and incur an administrative fee of CAD $50. Cancellations received after May 31, 2018 will not be refunded, however transfer of a registration to another person is permitted prior to the conference by emailing us at elpub2018@utsc.utoronto.ca. Refunds will not be processed until after the conference. In the event that a visa application is refused (even after the May 31 deadline), we will fully refund the registration fee.